For many years we have visited the Blue Mountains and climbed the mountains, walked the valleys, descended the waterfalls and camped under the stars. Every now and again a bushwalk would bring you to the top of a mountain and quite often you could notice that the top of the mountain was a little different. That is because instead of the sandstone that is the predominant rock throughout the Blue Mountains and beyond you have actually risen so high that you'd come across a volcanic rather than sedimentary rock- basalt. The more well known of these mountains might be Mts Tomah, Hay and Wilson but these peaks stretch a long way through the Greater Blue Mountains region. Mt Coriaday, Mt Coricudgy and Tayan Peak are other examples. 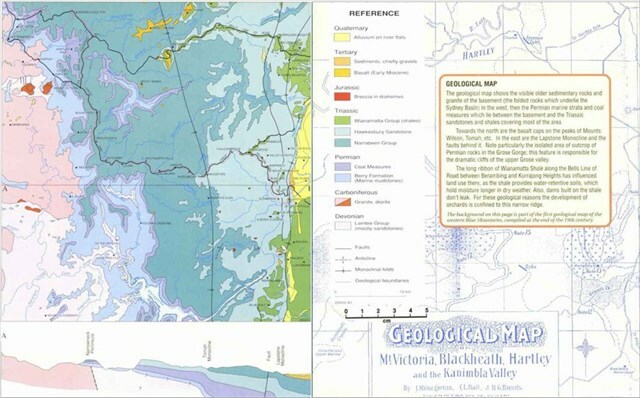 Around 250 million years ago the sea covered the area that is now the Greater Blue Mountains region. Further on in time rivers carried sediment such as sand, rocks and mud down into the ocean which over time formed the vast amounts of sandstone that we can see everywhere in the Blue Mountains. Layers of vegetation were deposited with the material that has now formed into sandstone. Over time this decomposing vegetation has been transformed into the coal and shale seams that we can also see in some places. Further sandstone layers were then laid down and so the process continued for millions of years. Sandstone tends to comprise of a number of grains of rock/ sand that have fused together and thus is more prone to weathering and may show patterns of wind and rain erosion. Around 200 million years ago a number of volcanoes forced their way through the sandstone and other layers although these have all but eroded today. A relatively short period of time ago, around 14-20 million years ago, another what must have been huge volcanic event covered the entire area with lava 50-60m thick. We can tell that this lava is probably from a flow rather than a volcanic plug as we know that lava that flows from a volcano is generally fairly viscous (i.e. flows like a fluid) whereas volcanic plugs are the inner core of the volcano where the magma (liquid rock) did not flow out and over time the surrounding erodes and leave the plug. The volcanic rock tends to be much harder than sandstone and and may show more of a fragmented/fracturing pattern. Since that time, nature has taken its course, lifting, pushing, tilting and eroding the various layers to give the Blue Mountains we know today. Evidence of the erosion and power of water over time can be seen in the magnificent sandstone canyons, including the Wollangambe canyon, down the bottom of the hill from this EarthCache. 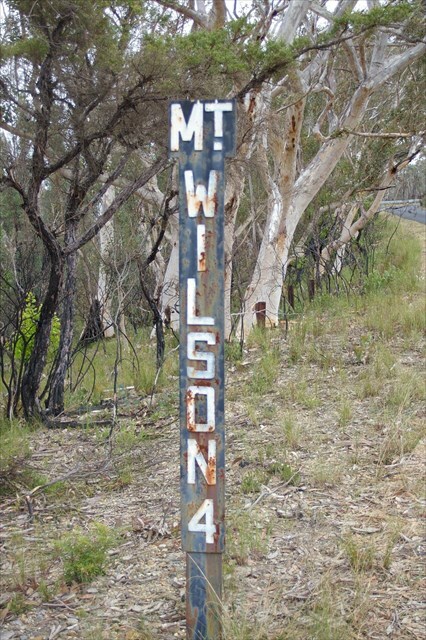 The only remnants of the massive layer of lava that covered the area are some of the higher peaks, such as Mt Wilson. In order to log this Earthcache, you'll need to answer the following questions and email your answers. Feel free to log your find in anticipation- I'll let you know if there are any issues. Logs without the emailed answers may be deleted. It is also preferable that you upload a picture of you/ your group and your GPSr with some basalt or somewhere on the basalt cap. 1. What type of rock do you think is exposed at the lookout? 2. Describe the soil and the vegetation here. eg is the soil like clay, sand? Is the vegetation like that encountered driving here? 3. What altitude is shown on your GPSr? Go back up the road and visit the second waypoint (waypoint Q2). You will find a small rock wall. Examine the rock, soil and vegetation here. 4. What type of rock do you think has been used to form the wall? 5. Describe the soil and the vegetation here. 6. What altitude is shown on your GPSr? 7. 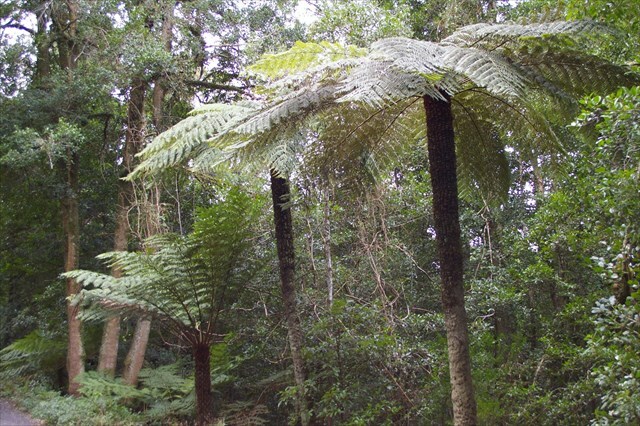 Why do you think the vegetation and soil are different between the two locations? 8. Name at least one other Blue Mountains basalt cap?